Get on down to Metricon Stadium to see the first Q-CLASH off the 2019 season! BRISBANE LIONS against the GOLD COAST SUNS. Game kicks off at 1:45pm Saturday April 27th, you won’t wanna miss this one! 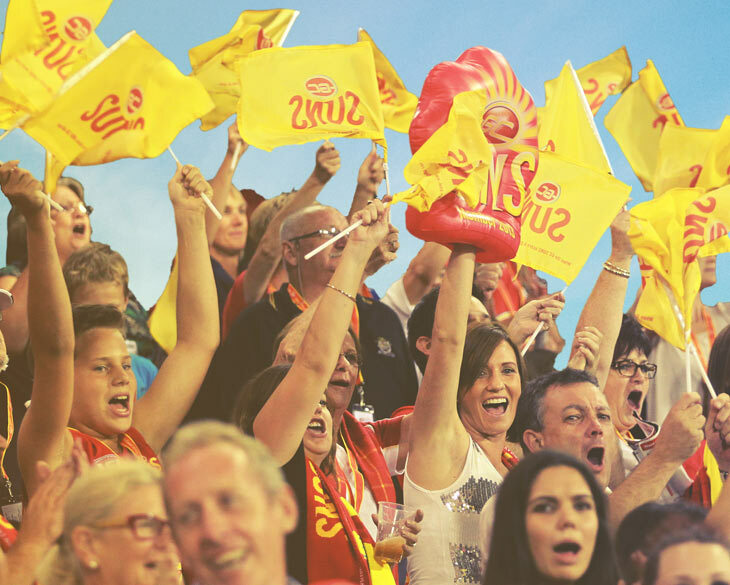 Free SUNS Clapper for the first 5,000 through the gates! Get their early to nab your spot in the new SUNS Surf Club presented by Destination Gold Coast, it’s a general admission seating area fitted with a life-sized Life Saving Tower. Free kids activities from 12pm! Australian Army Band live in The Lipton Chill Zone, followed by an ANZAC Ceremony at 1.30pm, before the game starts at 1.45pm. Roar louder than a lion. Challenge Accepted.